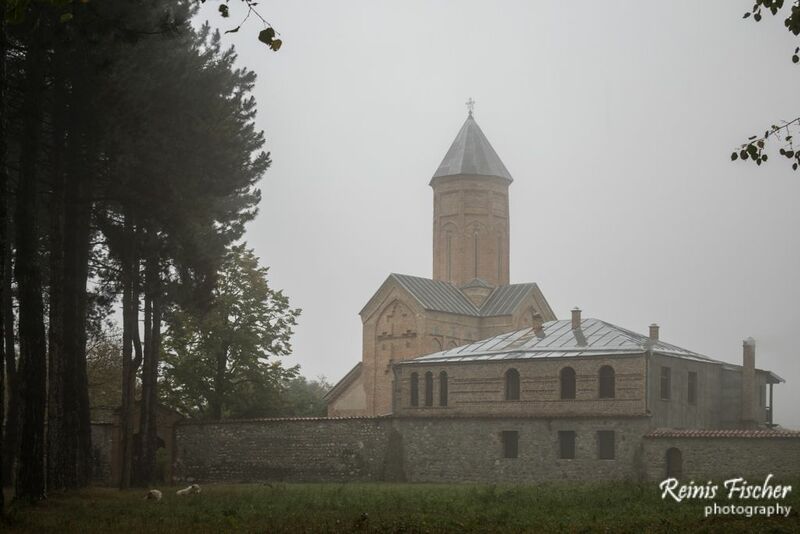 If you are traveling to the region of Kakheti in Georgia and your road is leading through the Telavi town, there are a few interesting tourist sites to visit and one of them is monastery complex Akhali Shuamta. We arrived to this site just shortly we paid a visit to another Dzveli Shuamta monastery. In fact that's a good idea to visit both monastery complexes together. 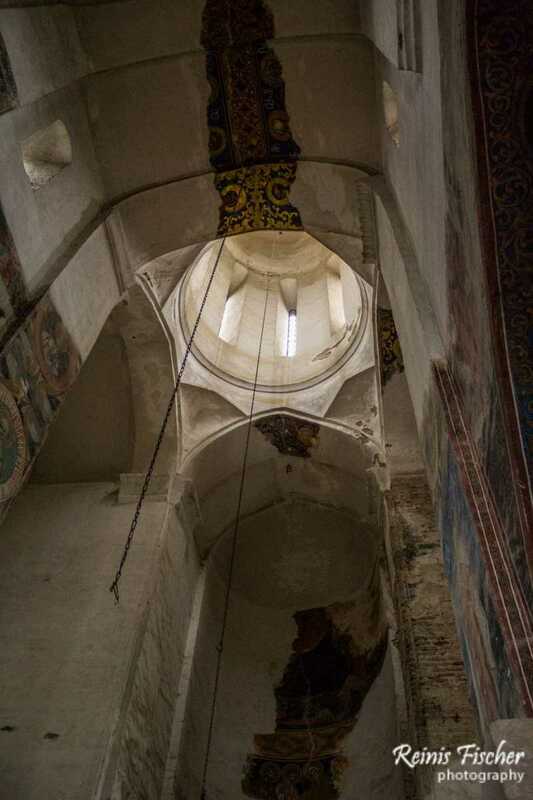 The monastery was founded in the XVI century by the king of Kakheti Leon and his wife Tinatin. Queen Tinatin was tonsured a nun in the same Monastery and is Buried there. New Shuamta Monastery lies near Telavi, on the wooded slope of ,,Tsivgombori’’ mountain. The Monastery got its name because of its site –it is surrounded from three sides by the mountains. ,,Shuamta’’ means – among the mountains. The guests of the Monastery are requested to wait at the gate for the sister of the Monastery, who will lead them into the Church. There is a legend about the founding of the Monastery. King Leon and Queen Tinatin were returning from Guria. 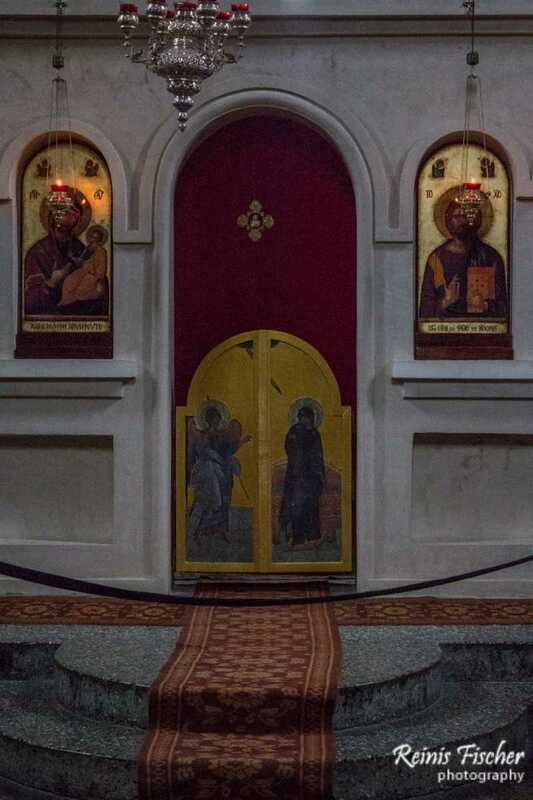 The retinue of the king was carrying The icon which the queen never parted with. The Holy Icon of Queen TinaTin was placed under cornel-tree.